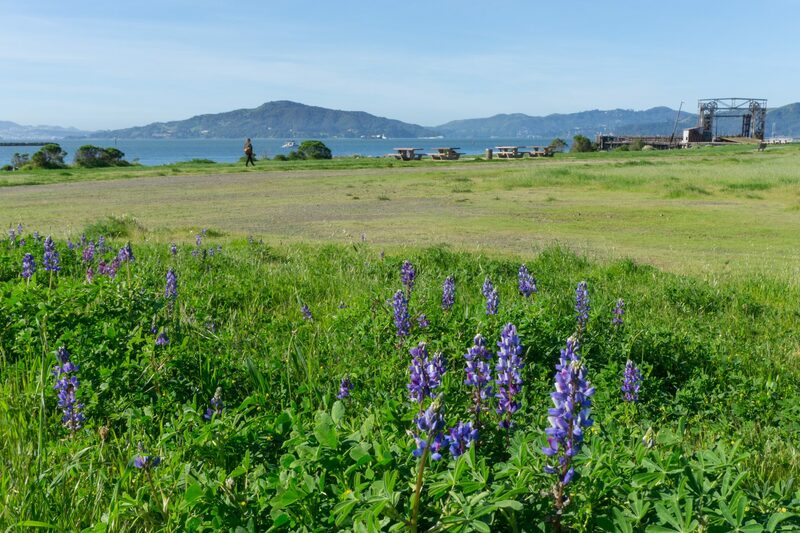 Ferry Point is a sandy beach located at the tip of the Point Richmond Peninsula. 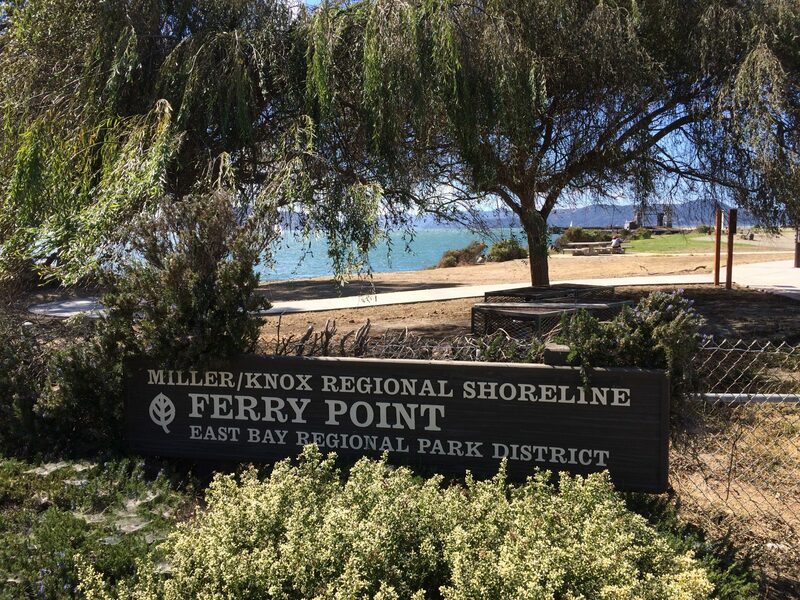 Part of the Miller/Knox Regional Shoreline, this popular beach has beautiful views toward San Francisco and Marin and provides a great launch for many different excursions, including trips toward the historic Ferry Point Pier, Keller Beach, Red Rock Island, and the historic Richmond waterfront including the Rosie the Riveter World War II Home Front National Historic Park. 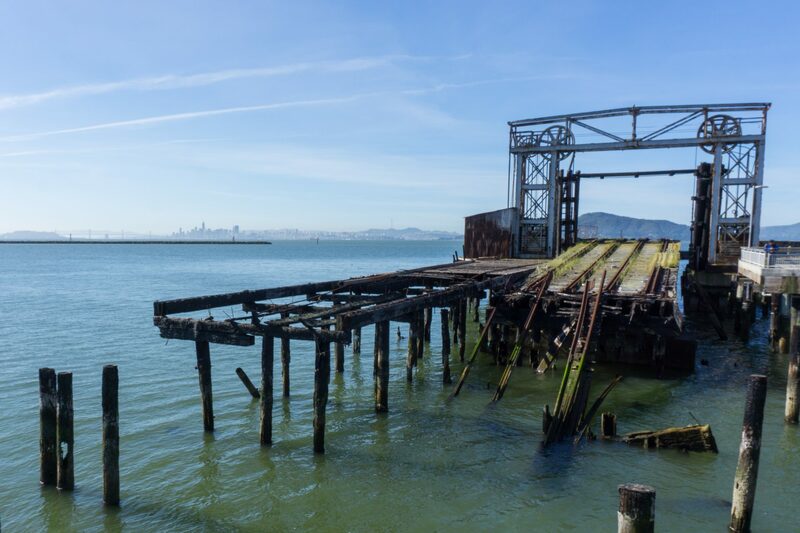 For more experienced paddlers, the site can provide a good launch for crossing the Bay to trailheads in Marin County like Angel Island State Park. Ferry Point is sandy beach that features an ADA beach access path from the parking /staging area to the high tide line. The site also features a kayak drying rack, shower tower, drinking fountain, fish cleaning station, and new ADA restrooms. From I-580 West in Richmond, exit at Canal Boulevard. Turn left (south) at the light onto Canal Boulevard and turn right onto West Cutting Blvd. Turn left onto South Garrard Blvd. and continue as it turns into Dornan Drive. The park entrance is at the intersection of Dornan Drive and Brickyard Cove Rd. The nearest bus stop is AC Transit bus line 72M (which also connects to the Richmond BART station) and is located a little over a mile away at the intersection of Dornan Drive and East Richmond Ave. 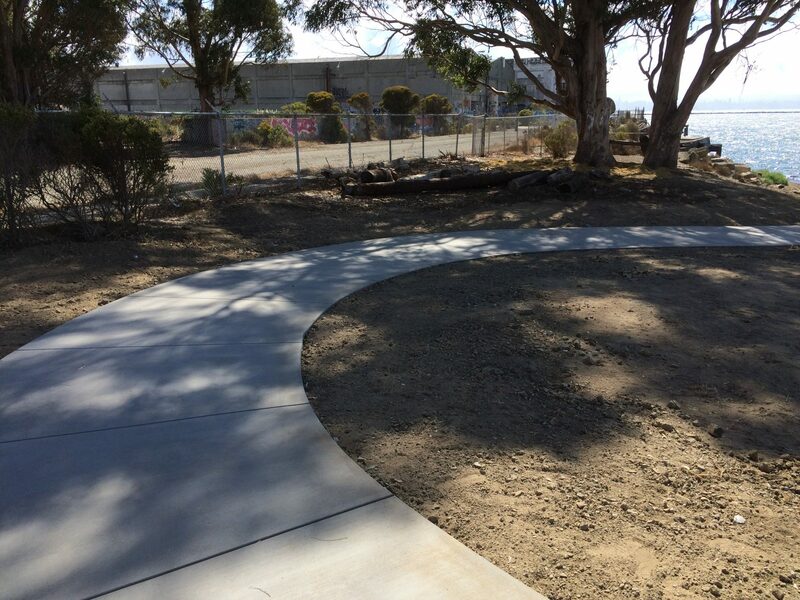 The park is located on Dornan Drive, south through the tunnel from Garrard Boulevard in Point Richmond. The parking lot contains 53 spaces and parking is typically available on all but the busiest weekends. Parking is free with no limits during park hours.  Park hours vary seasonally – please check the park website for information. 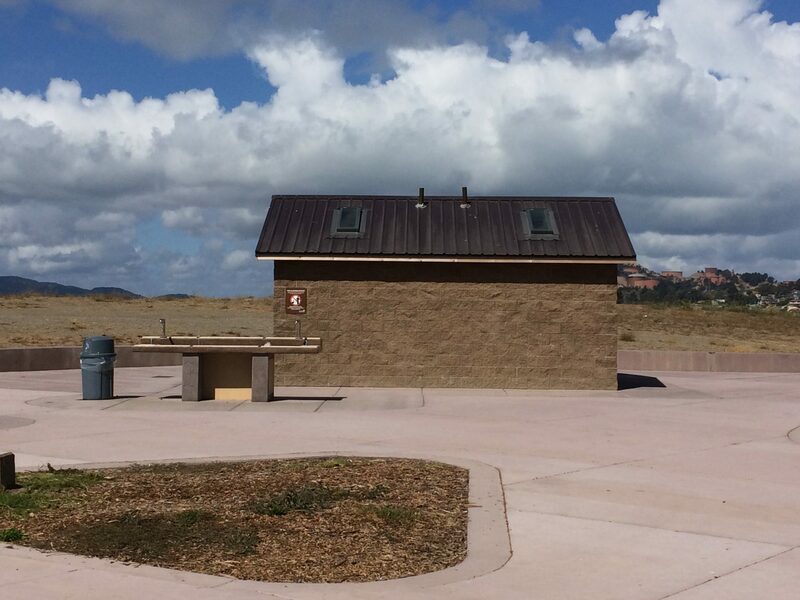 Recently completed ADA accessible restrooms with flush toilets and faucets are located near the parking lot. 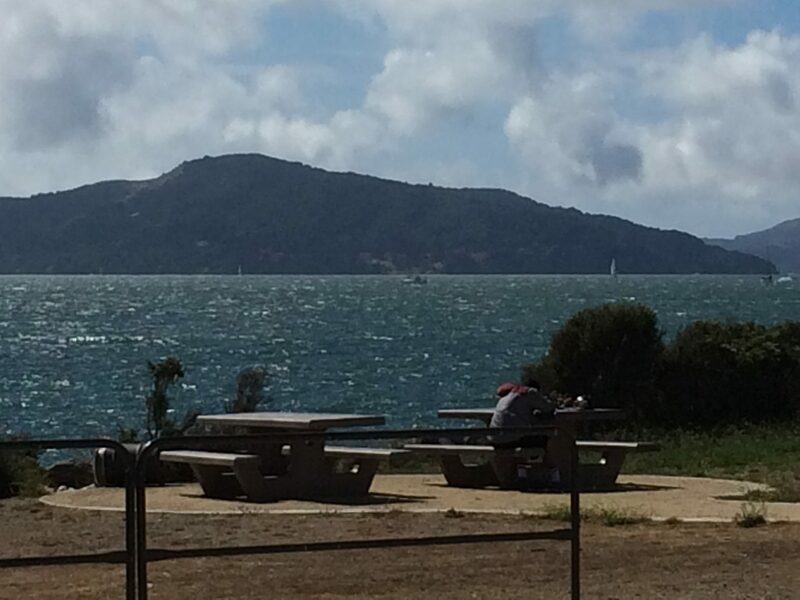 Miller/Knox Regional Shoreline is a 307-acre park located in Point Richmond. 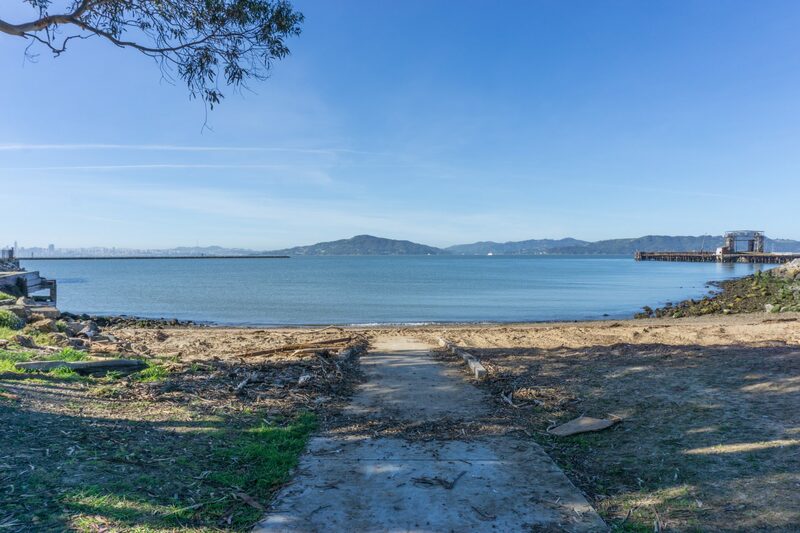 It features picnic areas, two beaches (Ferry Point and Keller Beach), a fishing pier next to the historic Ferry Point Pier, a model railroad museum, and a hilltop with trails that lead to panoramic views of the north Bay Area that includes views of three bridges. Near Ferry Point beach in particular, there are picnic tables, benches and a kiosk that includes a map of the park and current information. 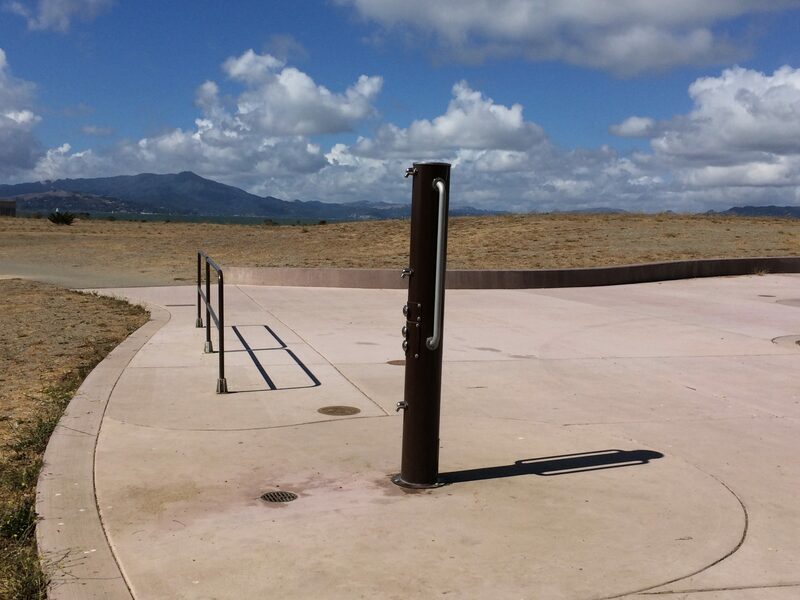 There is an ADA accessible path from the parking area to the beach high-tide line. 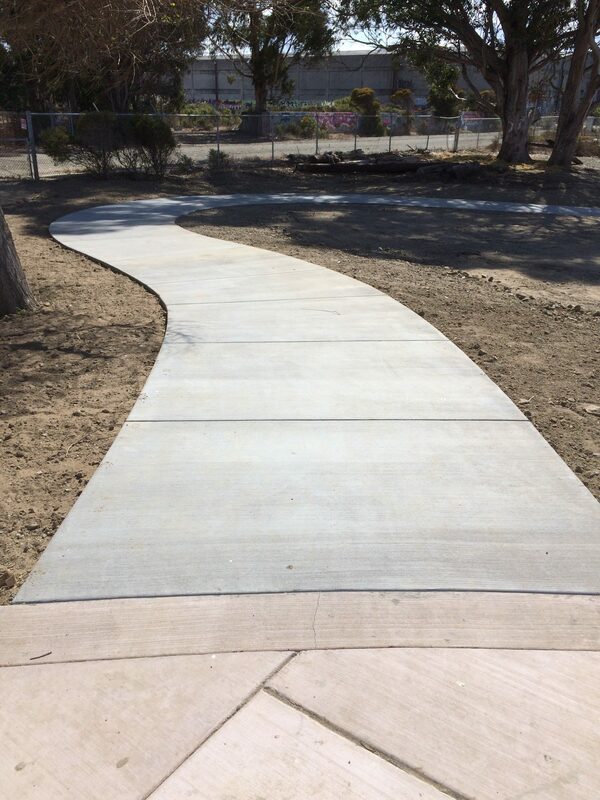 ADA accessible restrooms and drinking fountains are located in the entry plaza connecting to the parking lot and path to the beach. 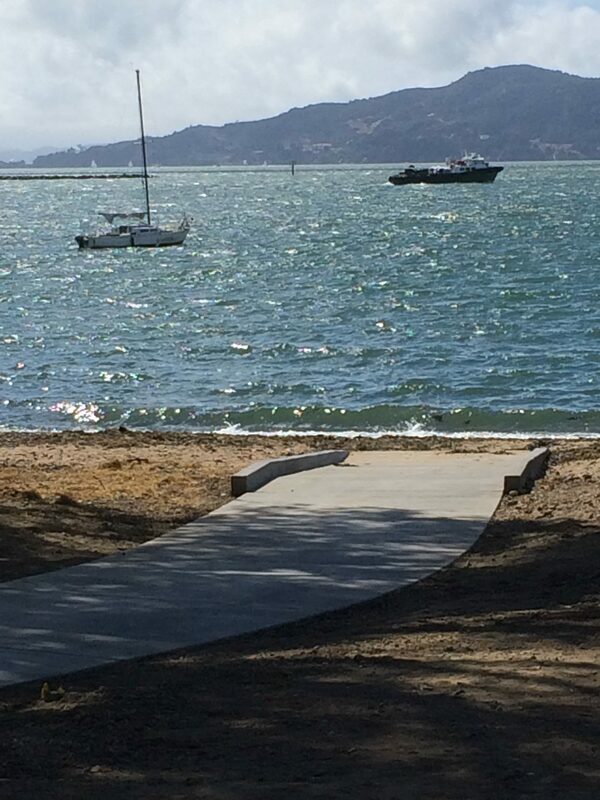 The East Bay Regional Park District also recently repaved the ADA parking spaces. 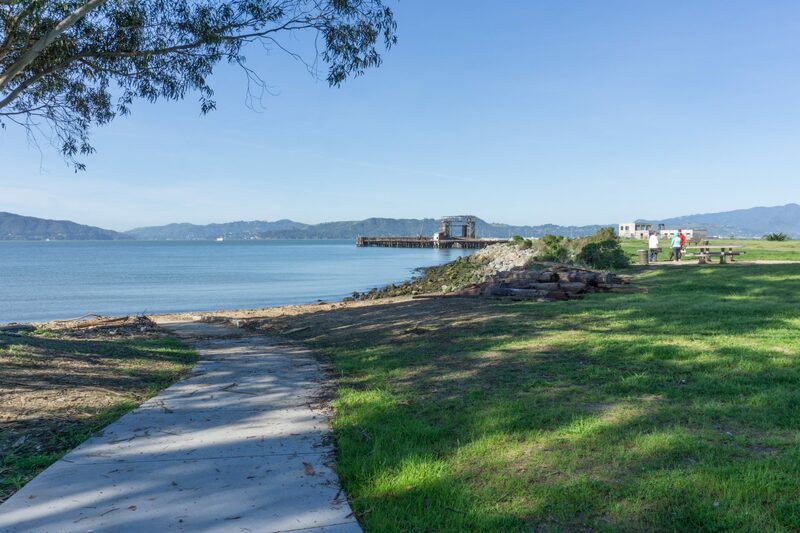 The Bay Trail runs through the Miller/Knox Regional Shoreline and connects Ferry Point to Rosie the Riveter World War II National Home Front National Historic Park to the east to Point Richmond to the north. Ferry Point is located along a shipping channel that runs from the Bay into the channel between Richmond and Brooks Island. This is a busy channel that includes large vessel traffic. Boaters should be sure to stay close to the shoreline due to the nearby shipping channel (information on navigational safety). To the north, boaters must stay a minimum of 300-feet from the Chevron Long Wharf, located approximately one mile north of Ferry Point. 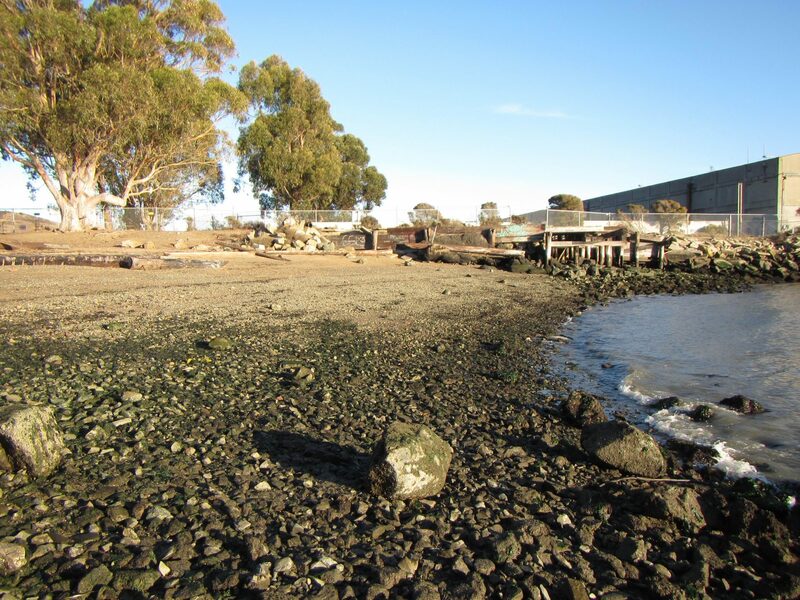 There are several harbor seal haul-out sites located within four miles of Ferry Point. 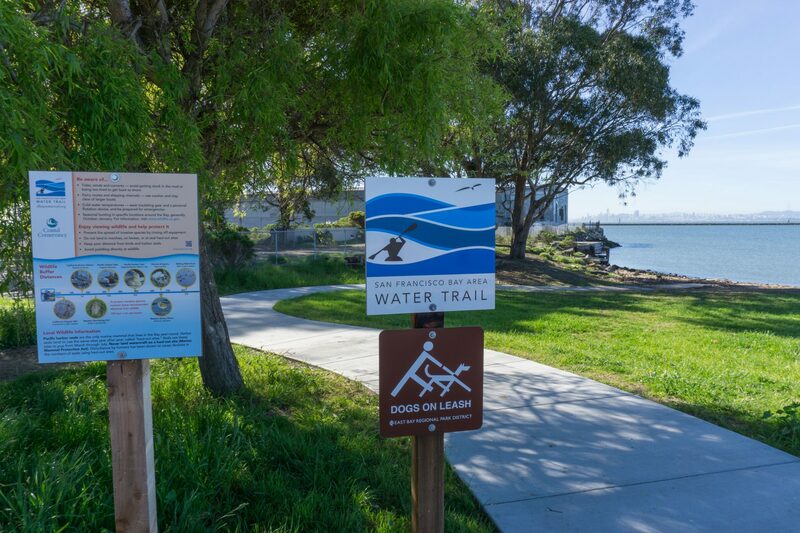 The Water Trail recommends boaters maintain a buffer distance of 350 feet from harbor seal haul-outs August – February, and 500 feet from harbor seal haul-outs March – July (pupping season). Studies show disturbance from humans can cause declines in seal numbers, disruption of reproductive activities when pupping, or even abandonment of the site. Nesting birds can be found on Brooks Island and Red Rock Island. The Water Trail recommends staying 650 feet from nesting colonies of birds. Getting close to seabirds during nesting season can cause nest abandonment and endanger chicks. Access to Brooks Island is closed to all boaters landing, except for the narrow spit on the north end during the non-nesting season (September – February). The East Bay Regional Park District offers guided kayak tours to other portions of the Island – check the EBRPD website for tour information and registration (www.ebparks.org/registration, or 888-EBPARKS).